British embassy staff in Belgium will be tucking into a taste of a Yorkshire Christmas dinner today – with a trio of smoked fish from Staal Smokehouse. 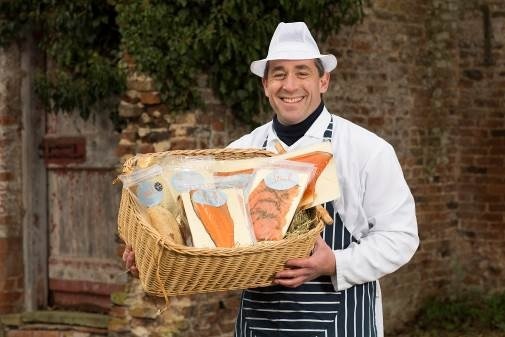 Guests at an embassy Christmas reception – which includes British ambassador to Belgium Jonathan Brenton – will be enjoying smoked salmon, trout and duck from the smokehouse in Beverley, East Yorkshire, along with other regional delicacies. Staal Smokehouse is just one of six fish and seafood suppliers, and around 20 food companies, chosen to represent Yorkshire & Humber during the festive trade mission organised by the UKTI. Managing director of the Long Ruston smokehouse, Justin Staal, said he was honoured that his fish would play a part at the Christmas party. Only last year, Paralympic champion David Weir MBE and pop star turned TV science-guru Professor Brian Cox were among 700 guests who enjoyed Staal smoked fish at the Yorkshire International Business Convention (YIBC). The award-winning family-run business sources its trout from Star Carr Trout Farm, three miles from the Smokehouse, before it is brined and lightly oak smoked to give a delicate cold smoked finish. The plump Gressingham duck breast, which has secured a Great Taste Award, is brined to keep it moist then cold smoked to intensify the flavour. The salmon, which comes straight from Scotland’s West coast and is dry cured before smoking with a blend of oak and apple, also scooped a gold at the Great Taste Awards this year with the judges describing it as “buttery”, “velvety” and “beautifully translucent”.